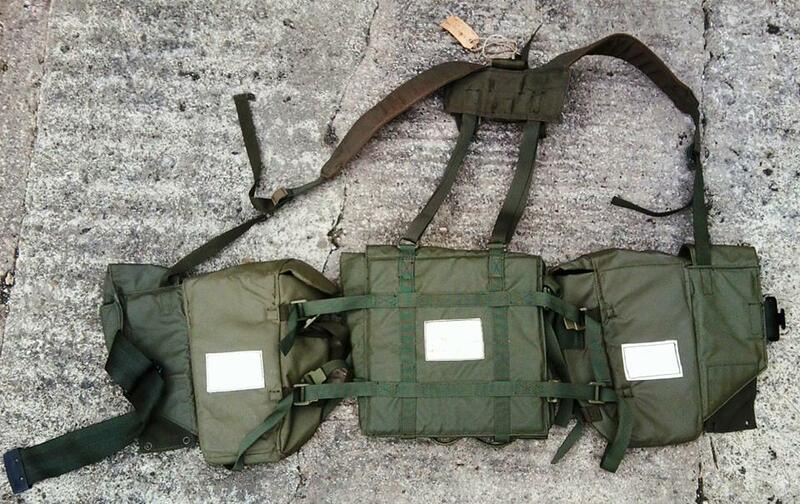 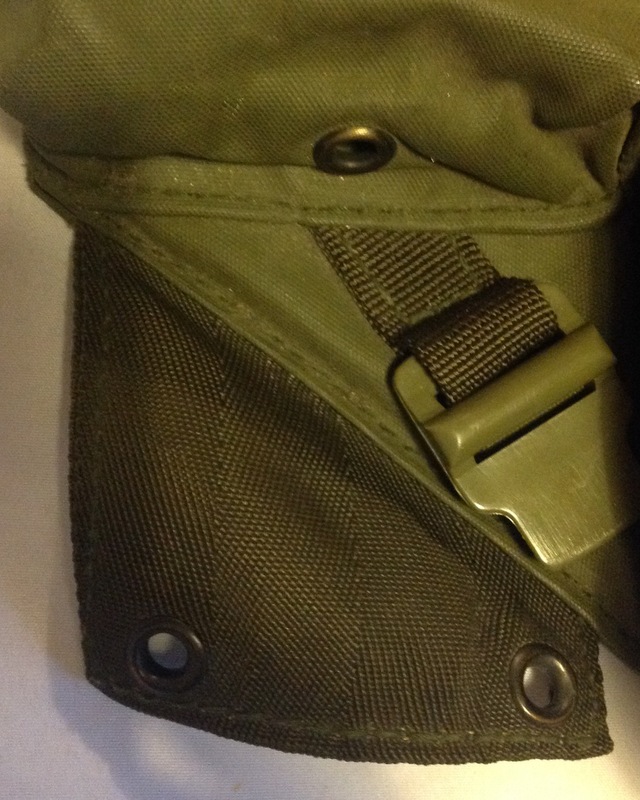 A couple of weeks back we looked at the left hand pouch from the 72 pattern webbing set. 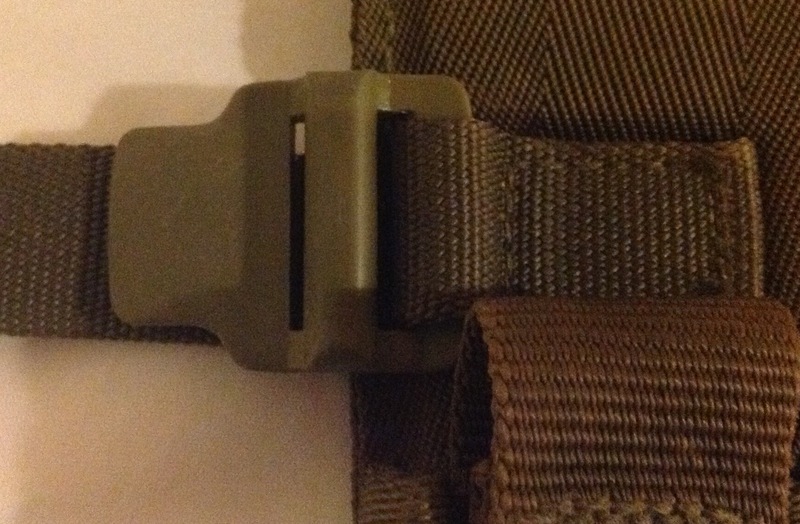 Tonight we are looking at a second component from this set, the yoke. 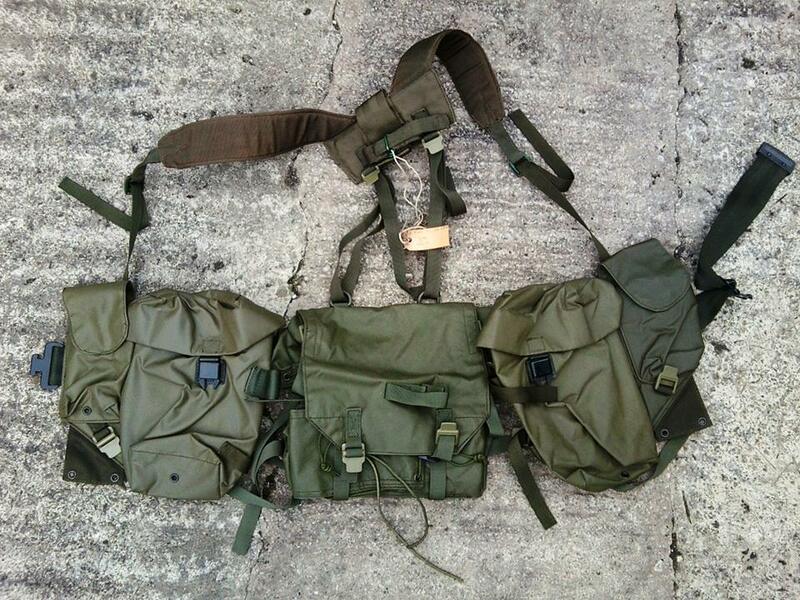 My thanks go to Stephen Madden for pointing out where to get this piece from. 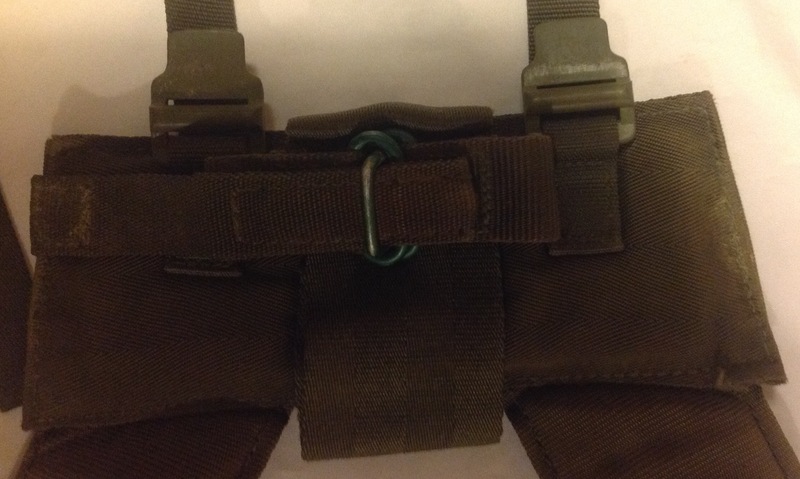 This component is clearly heavily influenced by the design of both the 44 and 58 pattern webbing sets: The yoke has a pair of heavily padded shoulder straps to help distribute the weight of the webbing and its contents: At the end of the straps on the front are a pair of buckles, like that used on the earlier 44 pattern set: These connect to the small vertical straps on the front of the pouches. 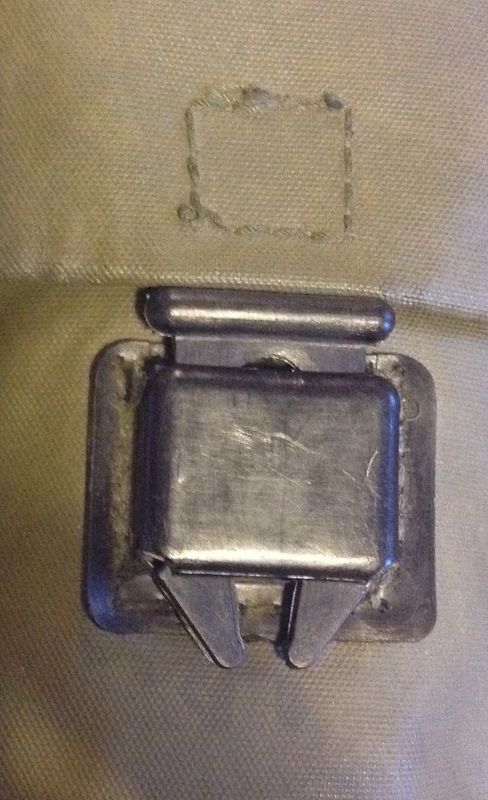 The centre of the yoke has the same straps and buckles as the 58 pattern set: Opened up these reveal a metal stud that connects with the handle of a pick axe of shovel: The pick axe handle would then sit vertically down the back as on the 58 pattern webbing. 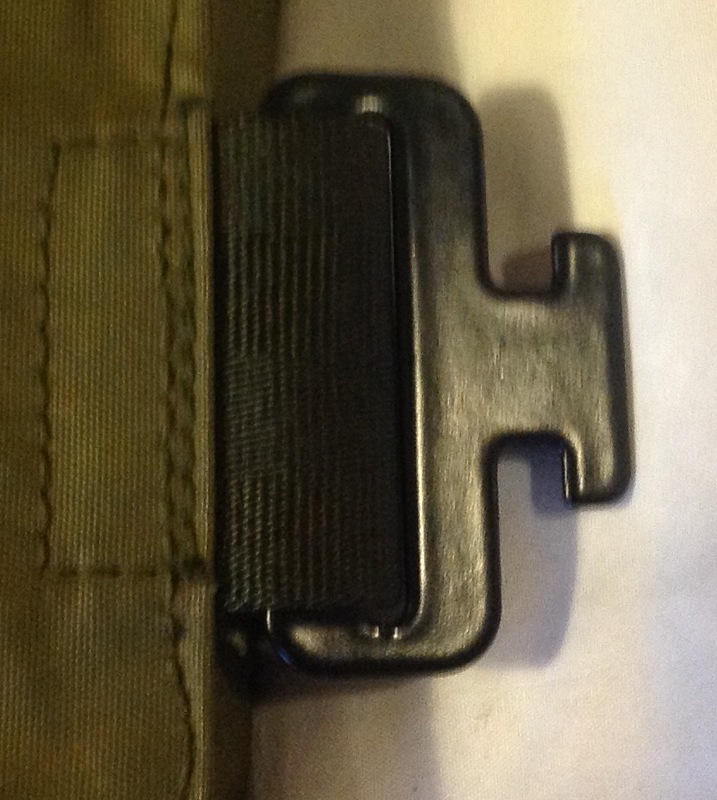 One unique feature of this yoke is the use of plastic tab buckles, much like that used on the US ALICE system of webbing: In this contemporary photograph of a complete set of webbing, the yoke can clearly be seen holding together the components of the set: Sadly I cannot find any stamps or markings on this piece of webbing, but the material it is made out of might have proved difficult to mark at the time. 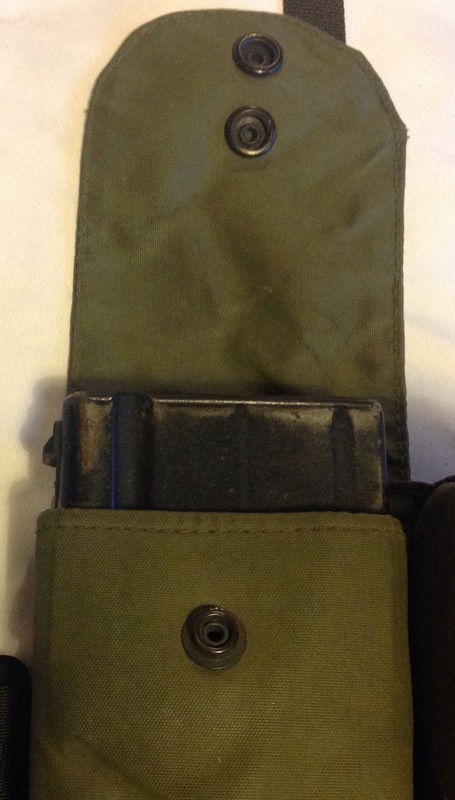 I now have half this set and with any luck I can track down the rest of the set in the coming months. 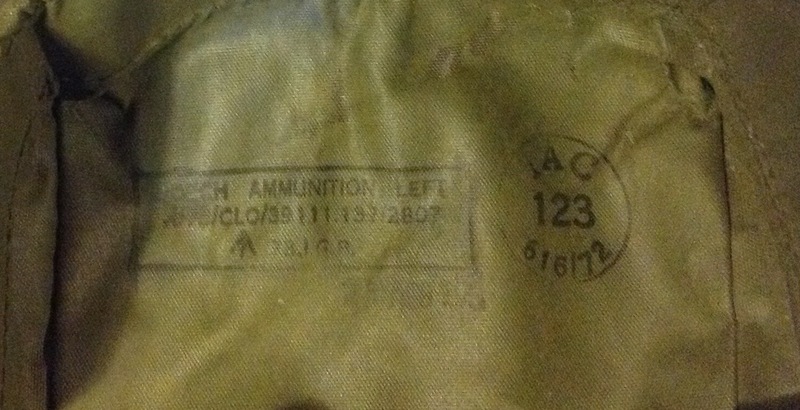 This entry was posted in 72-Webbing, British Army, Post WW2, Webbing on January 3, 2017 by hatchfive. 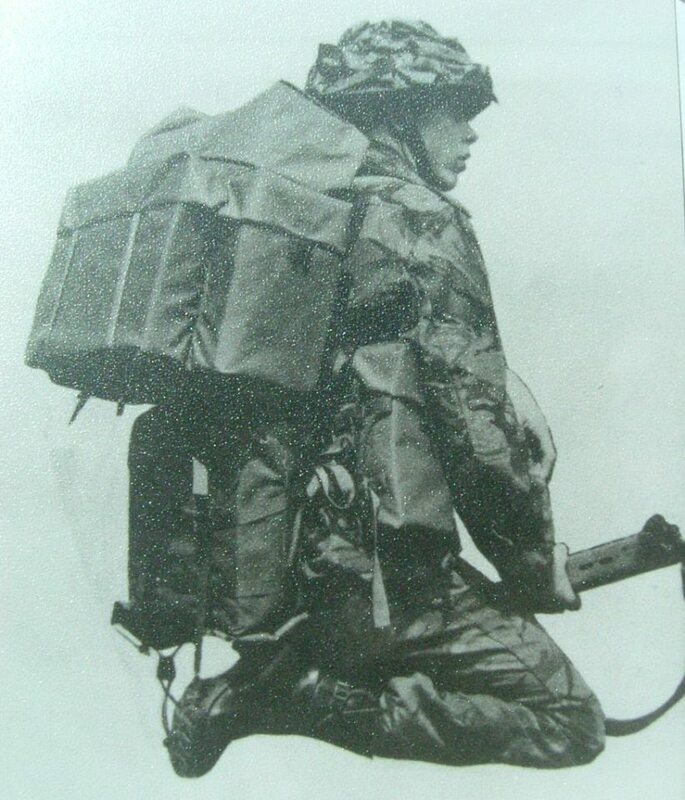 In the early 1970s the British Army trialled a new set of webbing designed for the nuclear age. 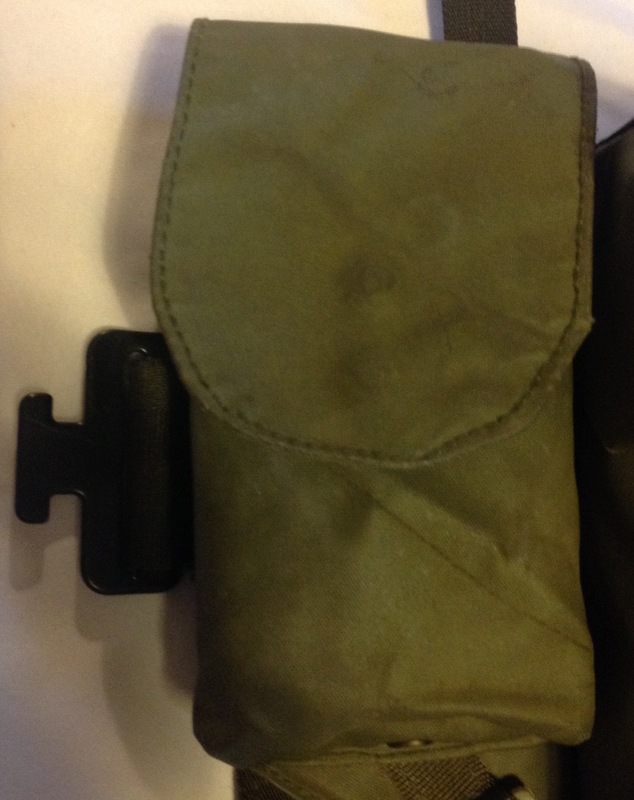 This new webbing was the first to move away from cotton weave to a butyl nylon that could be easily decontaminated. 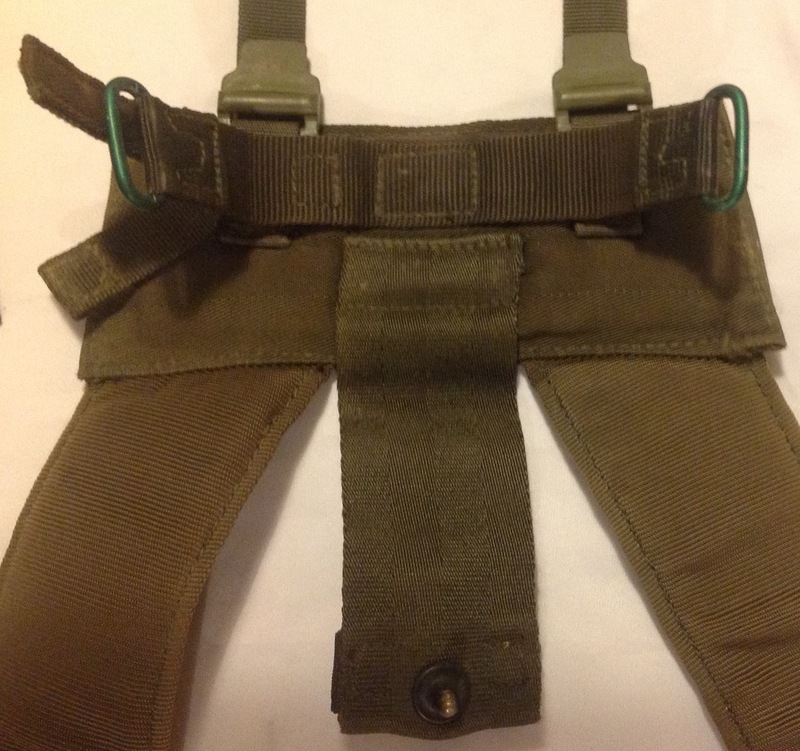 The webbing system was a radical departure from previous design and had some innovative features that were not followed up on subsequent designs. 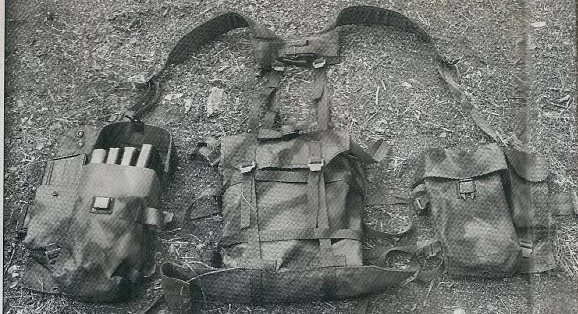 The webbing system was officially known as ‘75 pattern’ by the MoD, is commonly referred to as ’72 Pattern’ by collectors and was actually introduced as early as 1971…complicated enough for you? 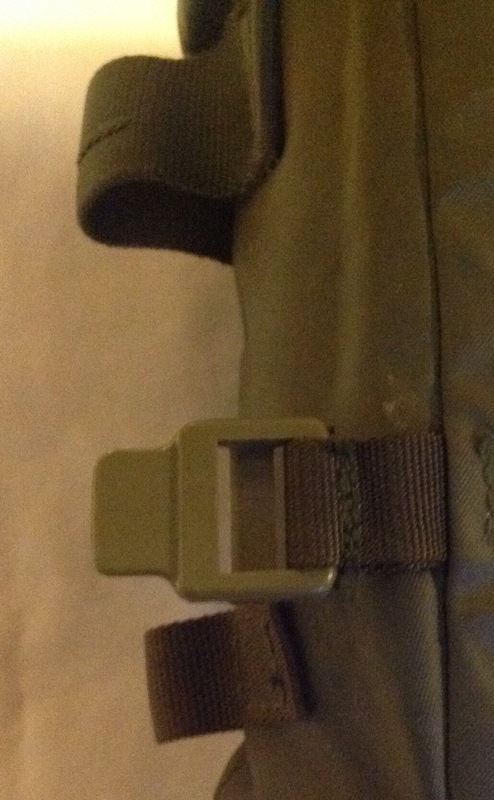 As can be imagined, components for this set of webbing are rare and so far I only have two of the four main components. 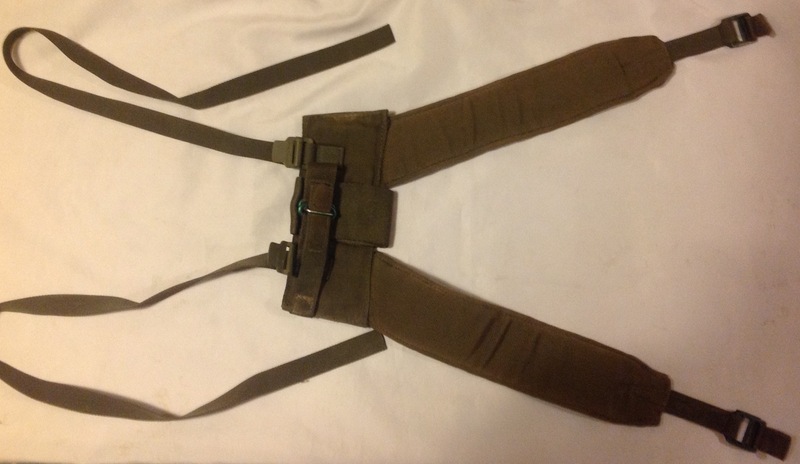 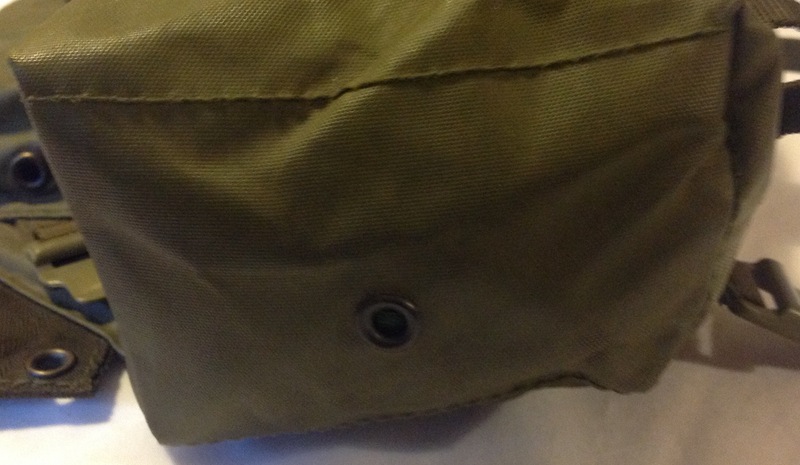 We kick off tonight looking at the left hand pouch assembly: As can be seen the design has a large pouch designed to hold the water bottle and other personal items, this is secured with a black plastic buckle: This pouch has the usual grommet on the bottom to allow any water to drain out: And on the side belt loops are sewn to allow an SLR bayonet to be carried: Next to this is a single ammunition pouch with a rounded top flap: This holds a single SLR magazine for quick access and has a press stud fastening: The webbing set is unusual in not having a belt to fasten other items to, instead having the male and female buckles sewn directly to the pouches, this example has the black plastic male fastener: Also of note on the front is a webbing tab with two eyelets to allow extra items such as another water bottle to be attached: This seems particularly impracticable as anything hung from it would be conveniently positioned to hit the wearer in the groin! 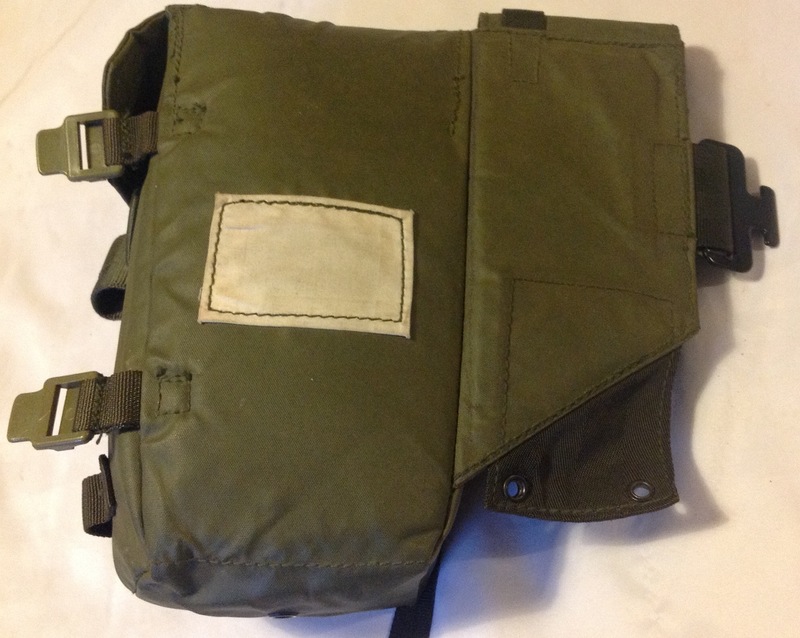 Turning the ammunition pouch over we can see that the back is pretty plain: A large white panel is sewn on to allow the wearer to write his name and number on the webbing: The pouch connects to the ‘bum pack’ part of the webbing through large plastic US style clips: My thanks go to Stephen Madden for kind permission to use these photographs of his complete set of 72 pattern webbing showing how the parts all fit together: Returning to my pouch, the manufacturer’s details and a date of 1972 are stamped onto the underside of the main pouch lid in black ink: This web set is pretty rare, and I suspect it might be unknown to many readers. 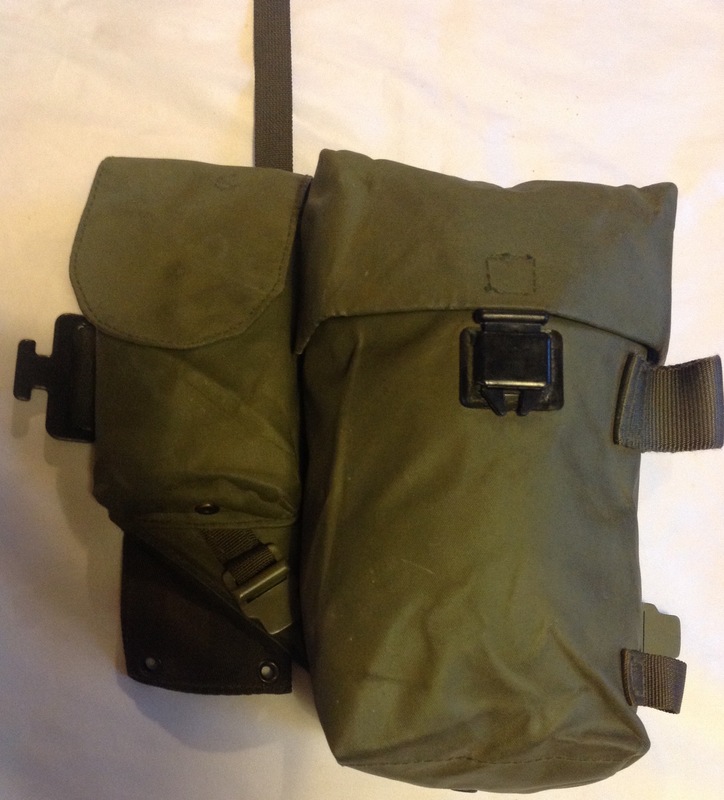 I have also picked up the yoke for the set which we will be looking at in the new year, I am therefore after the right hand pouch and the ‘bum pouch’ if anyone can help me track them down! 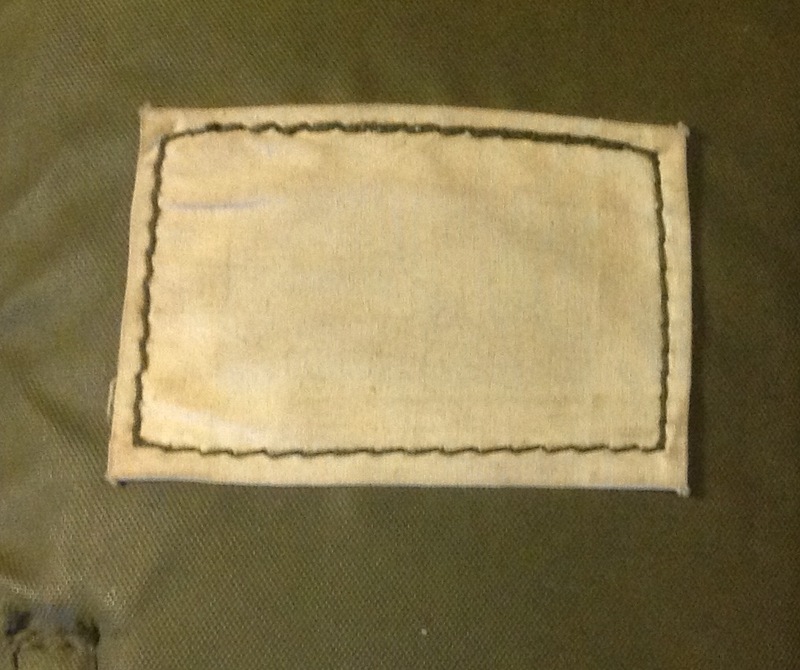 This entry was posted in 72-Webbing, British Army, Post WW2, Webbing on December 12, 2016 by hatchfive.